One of my life goals has been to hug a giant redwood sequoia tree. You know — meet one up close and personal and say hello. Last week I was able to live my dream. I flew into the San Francisco area for a speaking gig and took a few extra days to enjoy the scenery. Yosemite National Park, which is 1,200 miles of forest land located in the Sierra Nevada mountains in central California first protected in 1864. 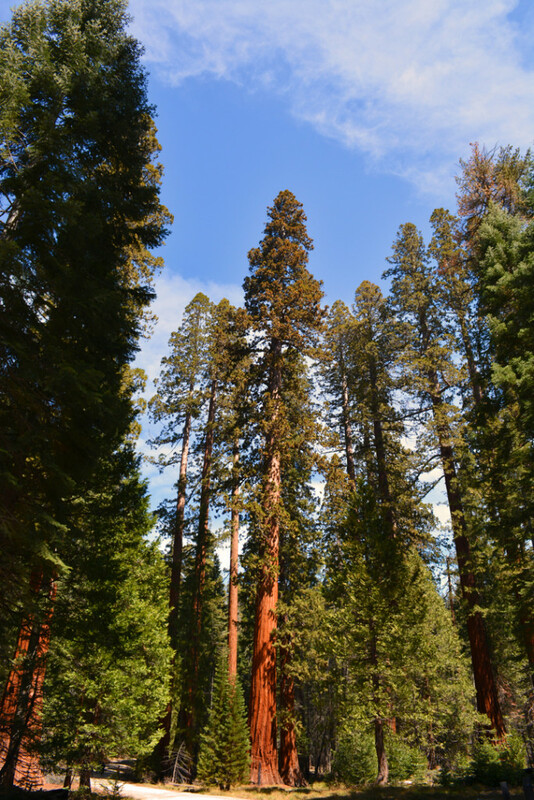 While there is all sorts of amazing scenery at Yosemite, my goal was purely to visit Mariposa Grove; home to a grove of giant sequoia’s which are the largest living things in the world. 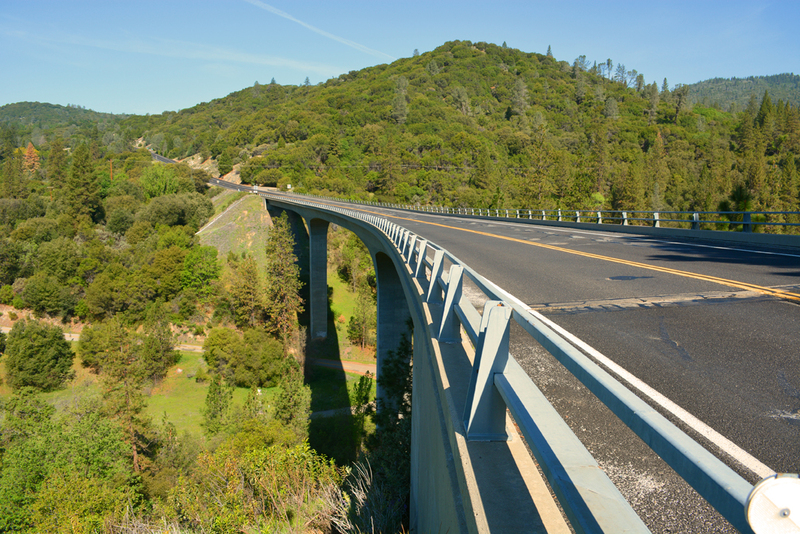 I left alone for my trip into the mountains, starting out before dark with a borrowed car and my phone’s GPS near El Dorado, California, driving through cow pastures and gently rolling hills which eventually turned to pine-scented curvy mountain roads with frightening drop-offs and scary hair-pin turns (see photos below). I rolled down the windows and let the pine smells wash over me as I drove. 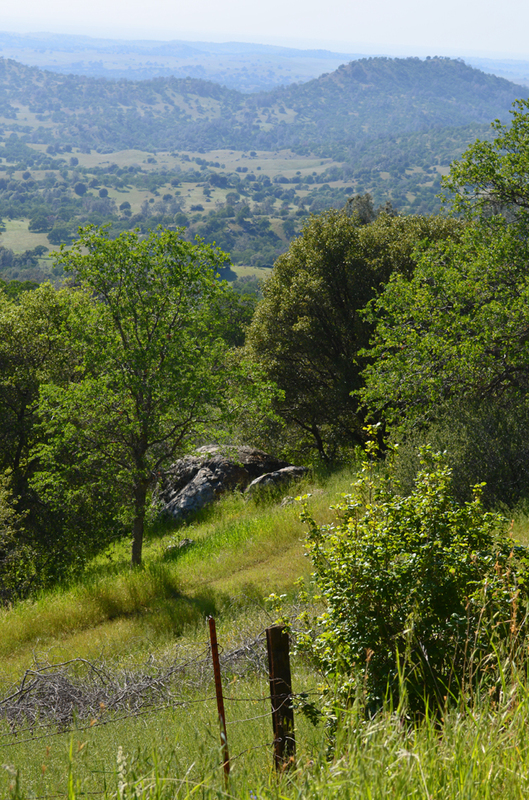 Each vista revealed a more beautiful view than the one before. 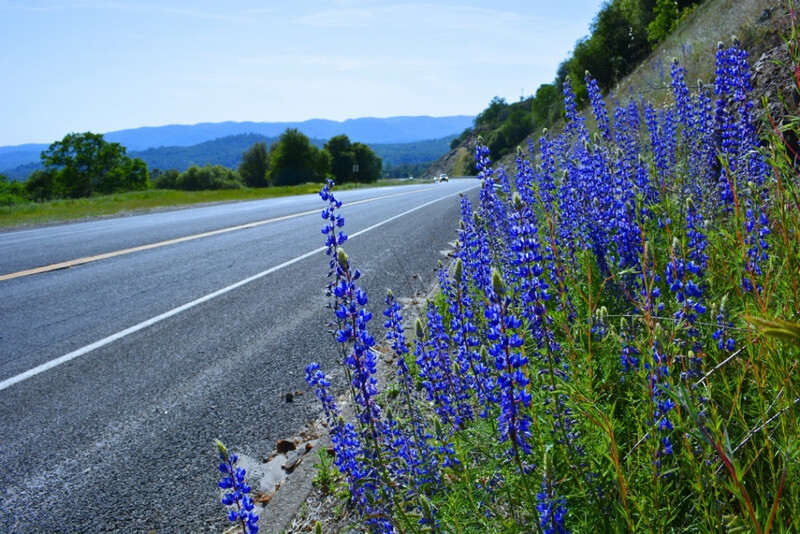 Wildflowers such as California poppies and lupine grew along the roadsides everywhere making it a gorgeous trip. 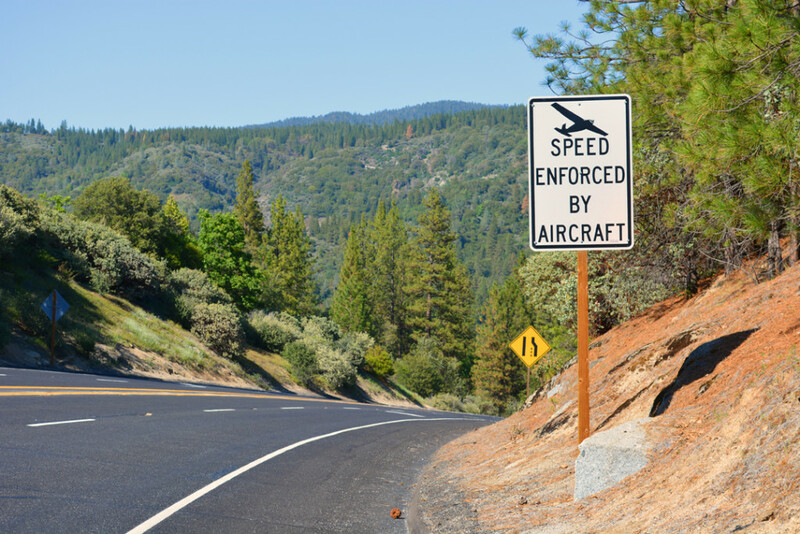 As the Sierra National Forest got closer, my heart pounded with excitement from the prospect of touching a real live dinosaur. When I first saw the Giant Sequoia trees I felt overwhelmed with how truly huge and beautiful they are. It took my breath away and my eyes pricked a bit with tears at my first glance. I felt so very small in the world standing next to them. Touching the bark reveals a smooth, reddish-colored covering that feels almost like tough leather. If the surface is exposed to the sun the tree feels alive beneath your hand because of the warmth from the sunshine. I hugged the ones in the sunshine and rested my cheek and ear against the bark and listened quietly for the longest time thinking perhaps they would whisper some inspiring thoughts to remember for Earth Day. Small toppled redwoods lying on their sides are taller than a full grown man – just being near them is a humbling and touching experience. 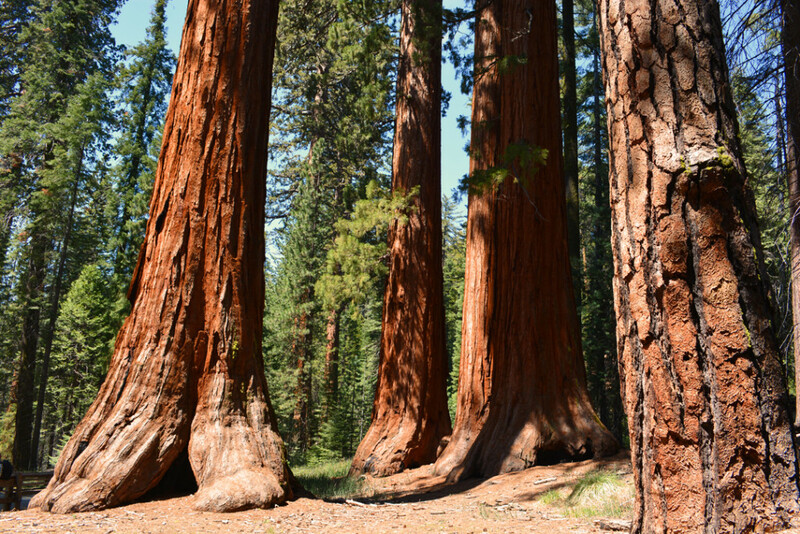 Giant Sequoias, or Sequoiadendrons, can be traced to the Triassic Period when dinosaurs first appeared about 200 million years ago. They were one of the primary trees in North America during the Jurassic Period and Cretaceous Period so many people refer to the grand trees as the “living dinosaurs” of the tree world. They have lived a very long time in the unique conditions they require – the oldest known modern tree is approximately 3,500 years old. 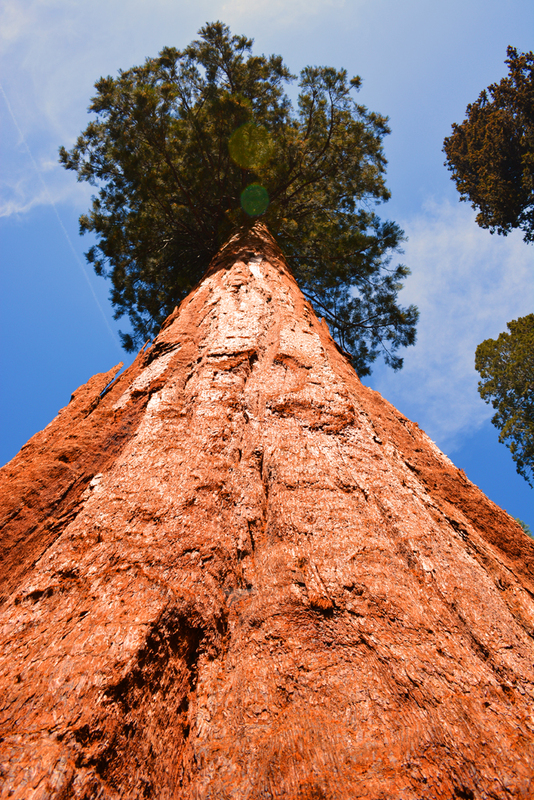 Sequoias must have deep soil and permanent moisture in the soil. 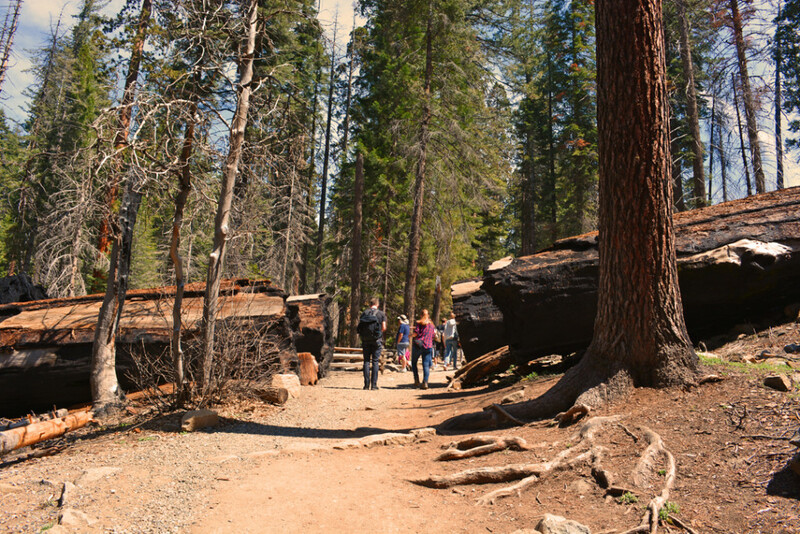 The Giant Sequoia groves such as Mariposa Grove in California are fed moisture from streams and subsurface water which is distributed from higher ground in the mountains. 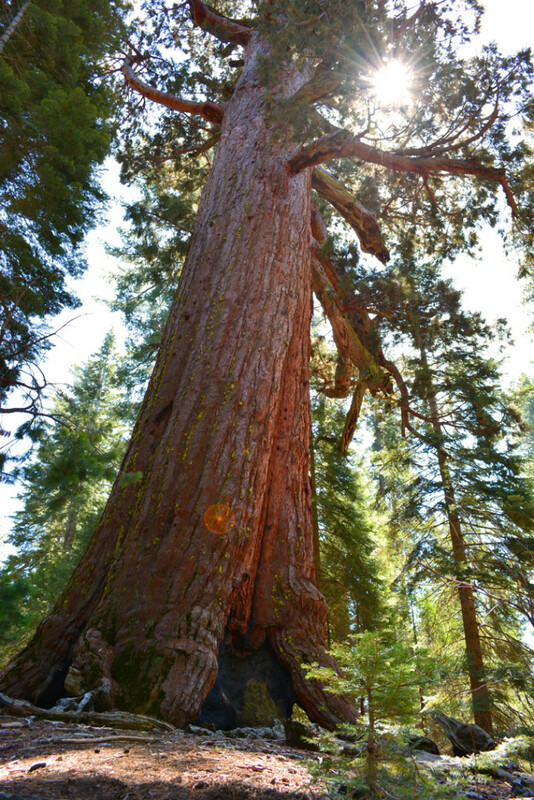 Below is “Grizzly Giant”, the largest tree at Mariposa Grove, which is over 200 feet tall and 96 feet around. 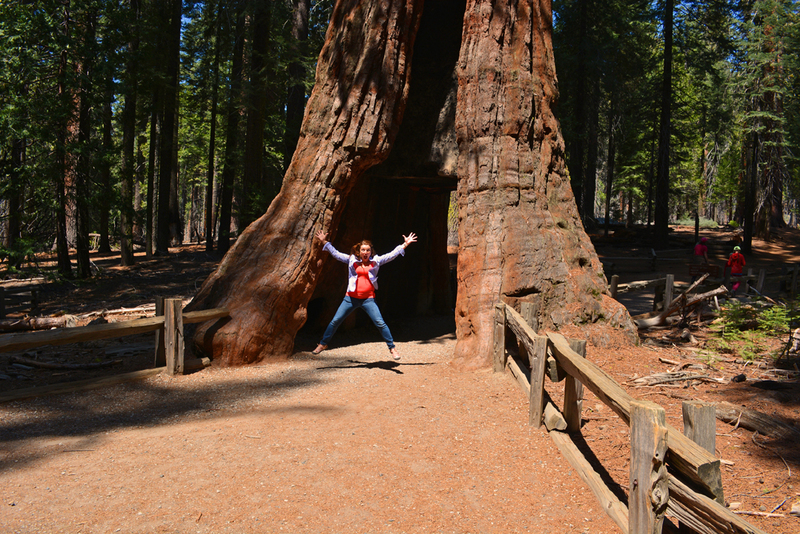 Thanks for celebrating Earth Day with me by remembering the little adventure I took to make my dream come true by visiting the redwood trees. Below is my last photo on the way out of the mountains. No speeding – enforced by aircraft! I hope that learning a little bit about sequoias will inspire you to plant a tree of some kind in your community this spring – trees are oxygen producers and help support the native animal community in your neighborhood. Find a tree that can contribute by feeding and supporting other wildlife and celebrate Earth Day every day by enjoying its branches and beautiful growth out your window. Happy Earth Day! I am so glad you were able to meet the sequoias. I am on the west coast and I don’t take them for granted, but I have not walked among them for a while. Thanks for the great photos. Thanks for your note. I LOVED Yosemite – so beautiful.